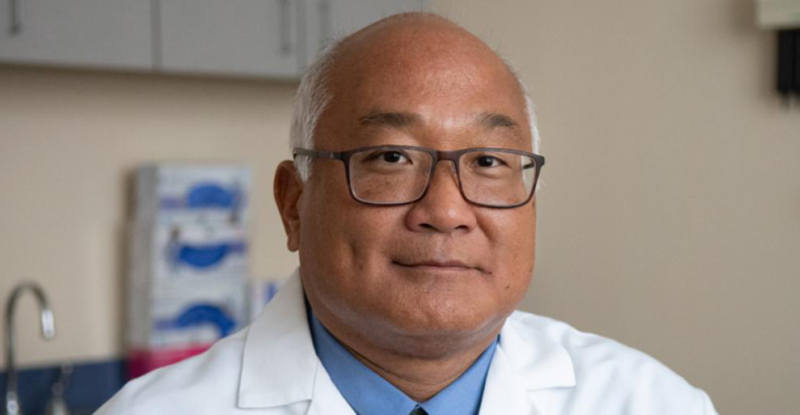 WASHINGTON (March 19, 2019) — The George Washington University (GW) Cancer Center is pleased to announce that accomplished medical oncologist George Kim, MD, has joined the GW Cancer Center. He will serve as the director of the Gastrointestinal Cancers Program at the GW Cancer Center. Cancers of the digestive system are among the most deadly and widespread. According to the Centers for Disease Control and Prevention (CDC), among cancers that affect both men and women, colorectal cancer is the second leading cause of cancer-related deaths in the United States and is the third most common cancer in men and women. Of the top 10 cancers by rates of cancer deaths, three are gastrointestinal-related (colorectal, pancreatic and liver/bile duct). The Gastrointestinal Cancers Program at the GW Cancer Center brings together medical, surgical, and radiation oncologists, interventional radiologists, gastroenterologists, genetic counselors, nutritionists and other supportive care professionals. The multidisciplinary team model provides patients with access to multiple specialties working together as a team and improves outcomes for patients, particularly in gastrointestinal cancers. The program also partners closely with experts in the Liver and Pancreas Institute for Quality at the GW Hospital, led by Lynt Johnson, MD, MBA. Patients also have access to the latest therapies and treatments through innovative clinical trials and cutting edge research. Dr. Kim, who specializes in colorectal, pancreatic, liver, and gastric esophageal cancers, most recently provided medical oncology services at 21st Century Oncology in Florida. He previously worked at the Mayo Clinic in Jacksonville, Florida, the National Cancer Institute in Bethesda, Maryland and the Dana-Farber Cancer Institute, Harvard Medical School. Kim also has an extensive research background, including serving as the Principal Investigator for clinical trials studying the effectiveness of different treatments for gastrointestinal cancers. He has published over 50 articles in peer-reviewed journals and written numerous chapters in the Handbook of Clinical Oncology. Kim received his medical degree from the College of Medicine, University of Vermont. He completed his residency at the Johns Hopkins Hospital in Baltimore. In 2002, Kim completed a fellowship in Medical Oncology at the National Cancer Institute. His clinical expertise and research interests include basic, translational and clinical research in gastrointestinal malignancies; experimental therapeutics; and quality improvement. Kim is board certified in medical oncology and is licensed in the District of Columbia and Florida. Kim assumed his role in November 2018.